Whoever invented smoothies should get a medal. Really. Thanks dude/dudette. 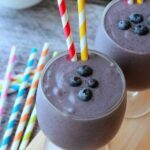 And this blueberry banana smoothie with peanut butter added is the most insanely delicious healthy breakfast you’ve had. And is it just me or is peanut butter an amazing addition to almost everything? I’m trying to think of things it wouldn’t be good in, and so far I have: coffee and tea. I don’t think I would like peanut butter in my coffee, or tea. But seriously, in almost all desserts, a peanut butter option is going to be good. 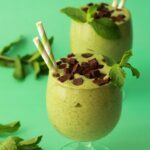 In all ice creams, smoothies, milkshakes, pancakes, cakes, it’s pretty much fab right? And then in savory things too. 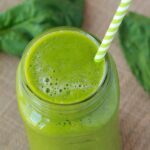 Do you know that a teaspoon of peanut butter added to your cooked spinach is the bomb!? Well now you do! Next time you have spinach as a side, you know what to do! 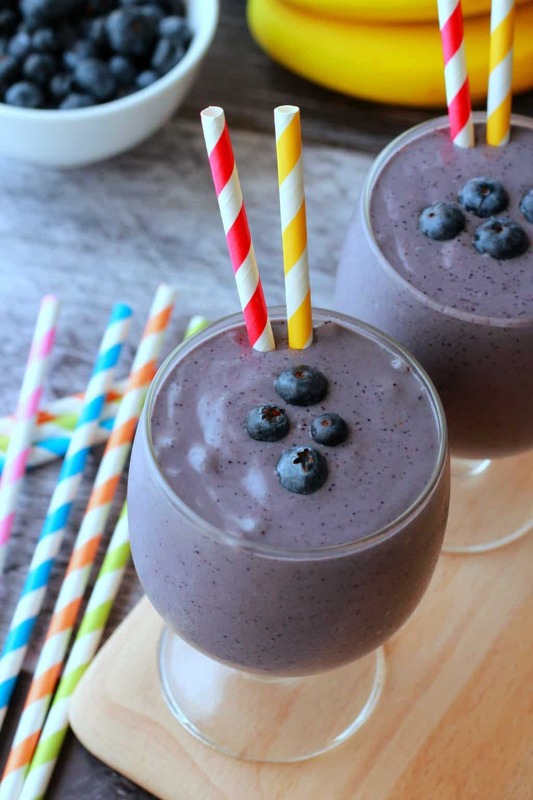 So yes, this blueberry banana smoothie adds peanut butter and takes it up a few levels! Drink up right away as this is all fresh ingredients that will oxidize if you leave it lying around. Fresh is best for this one. Drink it straight away, ice-cold and delicious! 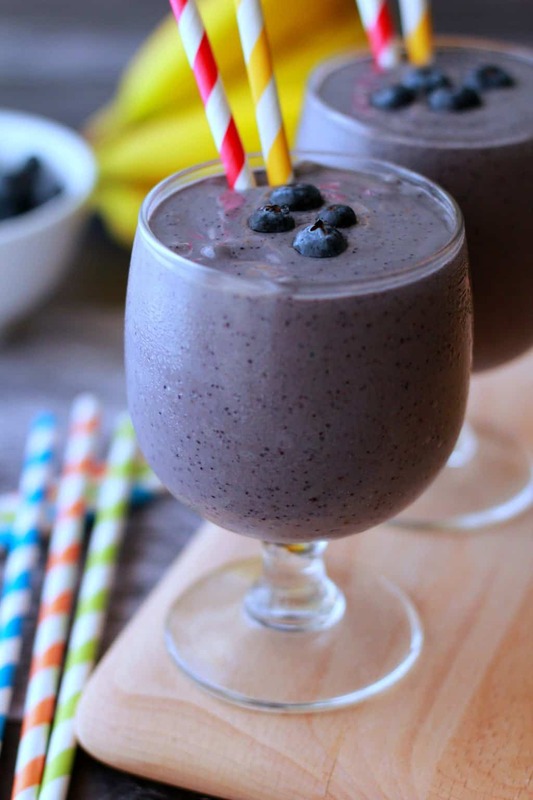 So let us know what you think of this blueberry banana smoothie with peanut butter! 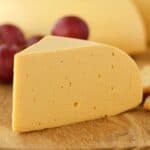 Rate the recipe and leave us a comment! And if you make this recipe and take any pics, tag us #lovingitvegan on instagram! We’d love to see! 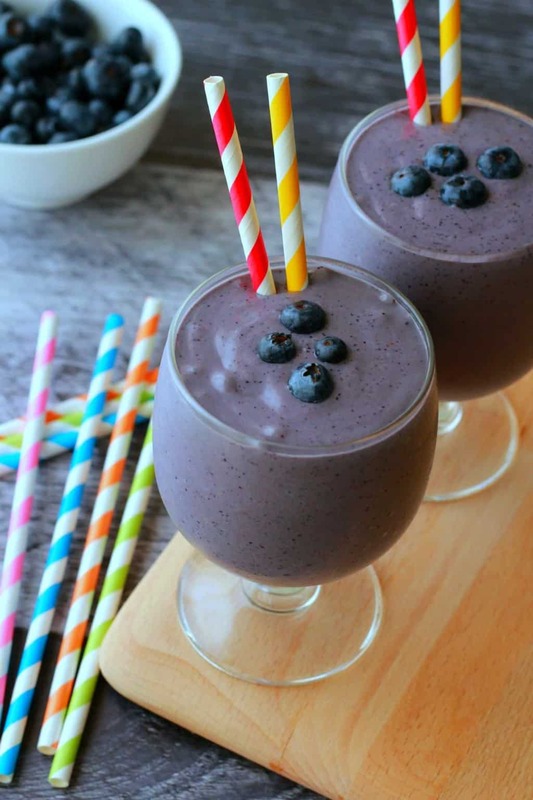 And then there’s the blueberry smoothie we made with homemade cashew nut milk that’s pretty much the bomb too, for those who want some more options for dem blueberries! And sign up for our email list too! 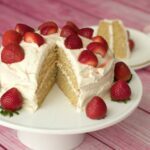 You’ll get a free recipe ebook (amazing!) 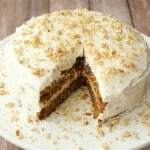 and you’ll stay updated with all our latest recipes posted to the blog. 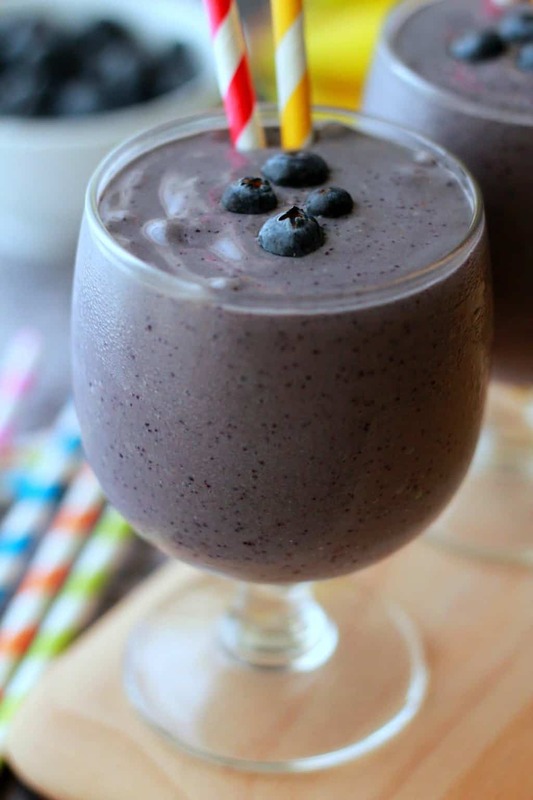 Creamy blueberry banana smoothie with peanut butter! 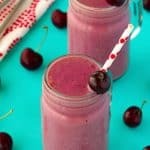 This double-thick milkshake style smoothie contains just 5-ingredients, is ready in 10 minutes and is perfect as a breakfast power shake! 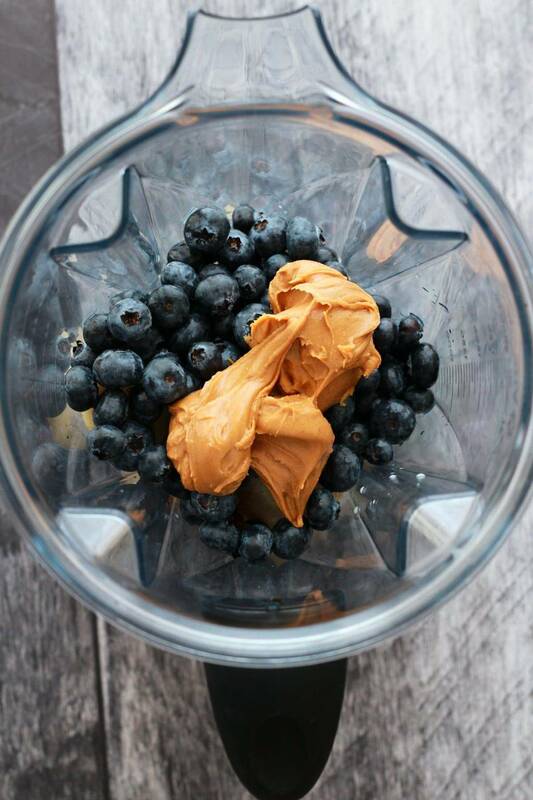 Add the soy milk (or other non-dairy milk), frozen banana, blueberries, dates and peanut butter to the blender jug. 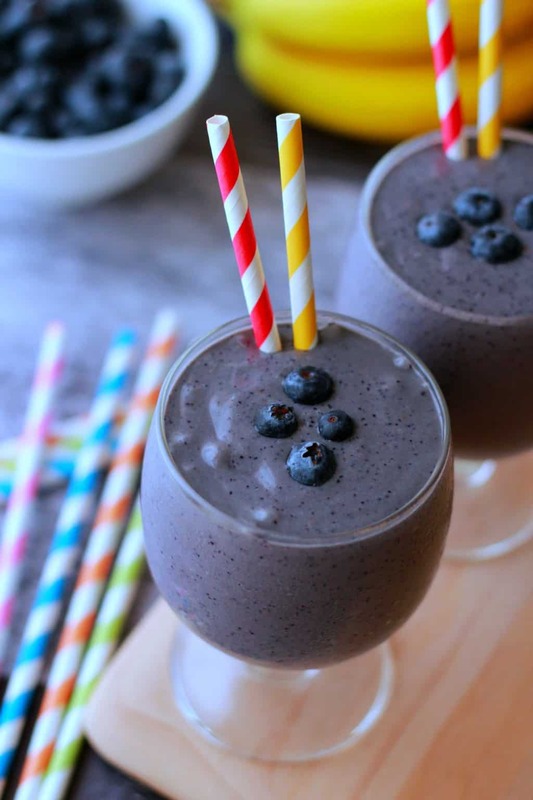 Pour out into two glasses, top with some fresh blueberries and serve. 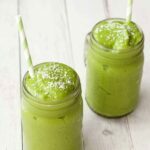 *Whenever you have excess ripe banana, peel them, break into quarters and freeze in freezer bags so they’re ready to go for smoothies. 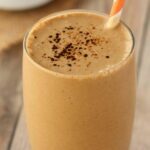 Vegan Coffee Smoothie – Rich and Creamy! Simple and delicious! A real power breakfast for busy working people. This blueberry smoothie was awesome. We have it every week. 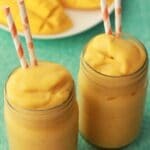 We also like the just banana smoothie recipes. Added 1 TBS of cocoa to it. Taste like chocolate milk shake. 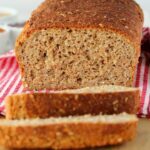 This is a great recipe to start the day! !